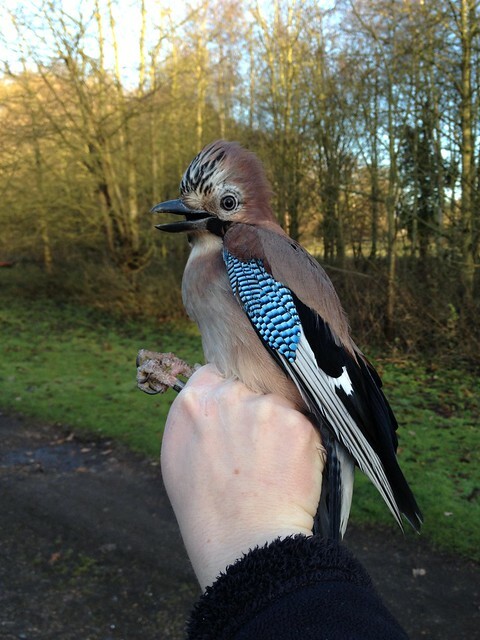 I caught a Jay in the garden this afternoon. 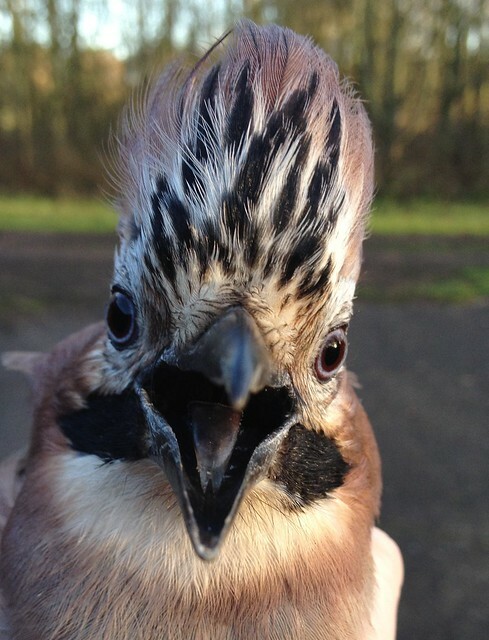 They are gorgeous birds at any range, but when you're right up-close there's another dimension to them. As well as the dazzling azure blue of the coverts, there are tiny, hidden-away traces on the secondaries and the top of the tail. 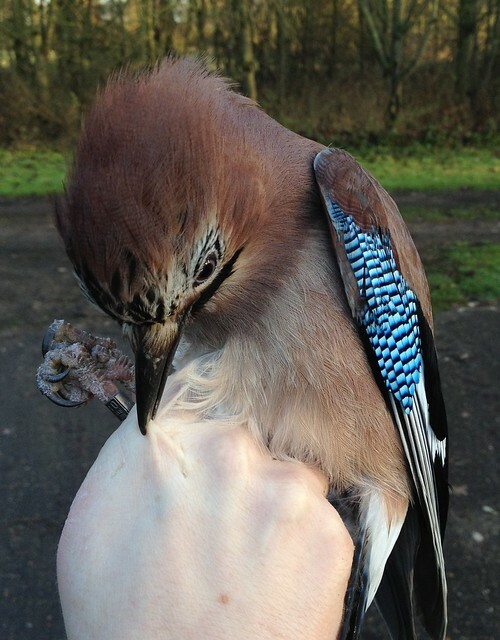 Added to the constant, ear-splitting screeching and fierce biting and pecking, it's a feast for the senses. Just as well they don't smell nasty too. 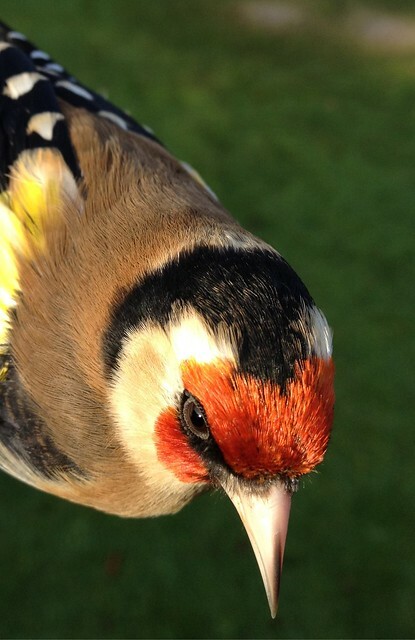 Here's a close-up view of a Goldfinch that you don't normally see. The long, pointy bill is ideal for tweezering out seeds from teasel heads. The dark nasal hairs at the base of the bill, and the red extending behind the eye, show that it's a male.